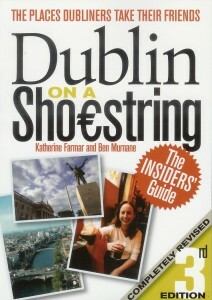 benmurnane.com | Ben’s Second Book, Dublin on a Shoestring – Buy Here Now! Ben’s Second Book, Dublin on a Shoestring – Buy Here Now! Dublin is a fantastic place. The birthplace and hometown of cultural greats, it is a young capital alive with nightlife, great restaurants, comfy accommodation – and now, terrific bargains. As you wander the city, you’ll need a guide to take you past the high street sale signs to where true value, and the real Dublin, is found. Shoestring Dublin is the Dublin of the quiet streets, the second-storey cafés, the little places tucked away in unlabelled cul-de-sacs and only advertised through word of mouth. 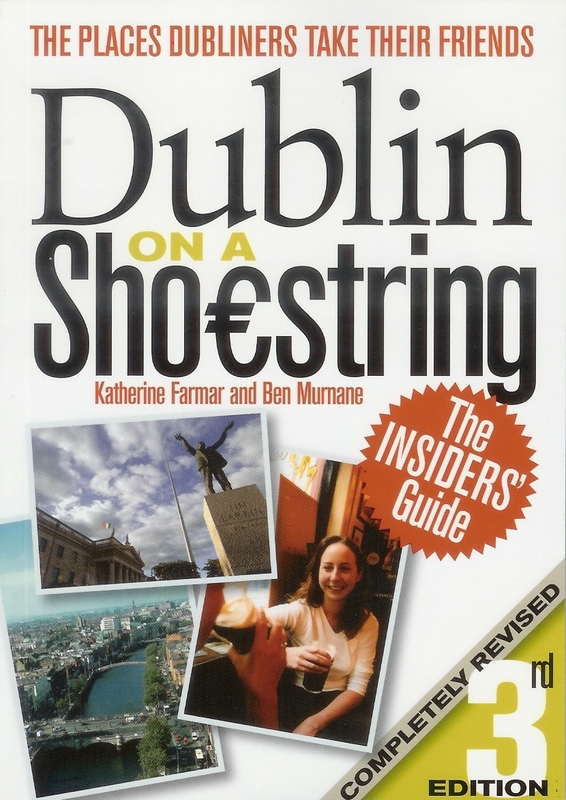 Opinionated, practical, entertaining – Dublin on a Shoestring is the original insiders’ guide. - Dub’s best pubs – including where to get the cheapest pint in Dublin! The original Dublin on a Shoestring was published in 1998, just as Ireland was coming to terms with its newfound prosperity. The second edition was released in the headiest days of the boom, in 2002. Now, this completely revised third edition, by Katherine Farmar and Ben Murnane, offers the ultimate guide to a city that’s changing once again. More than just a guidebook, Dublin on a Shoestring is a snapshot of a vibrant capital in turbulent times. Order Dublin on a Shoestring here today – the brand new, completely revised third edition by Katherine Farmar and Ben Murnane. NOW ONLY €5 + FREE SHIPPING TO ANYWHERE IN THE WORLD. Usually dispatched within one working day. Published by A&A Farmar, 2009. All copies bought here signed by Ben.